You know those weekly roundups that people do on their blogs? I love them. Although I don’t currently have my own version on Espresso and Cream, I soak up the roundups from other people. Truth be told, I have a lot of clothes in my closet. It’s a little ridiculous how many items of cute, nice clothing I have. But when I go to get ready in the mornings, I have the hardest time finding something I really love wearing. I have a handful of dresses I love, a favorite pair of jeans and a few shirts I go to time and time again, but the rest of the items in my closet just sit there looking pretty 90% of the time. That’s crazy talk! I don’t think I’m alone in feeling this way, but I’m incredibly sick of spending money on clothes I don’t really love. It’s wasteful and frustrating. So I decided to take the Un-Fancy challenge. 2. Store all your off-season clothing somewhere else. 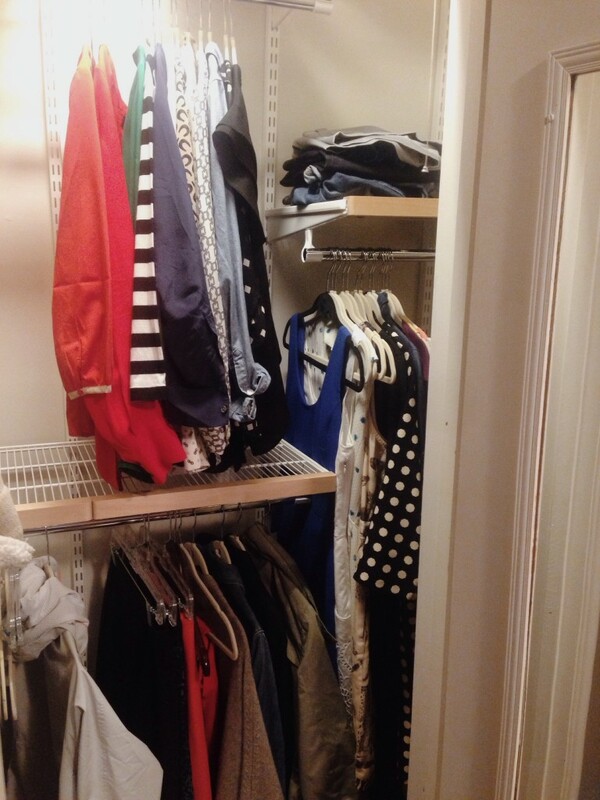 Put all the in-season items that you took out of your closet for the challenge in a box for storage. I love that you don’t need to throw out the clothes just yet. If you really miss something you can go get it from the box. It made it much easier to part with these items. 4. After you’ve made it through one season, you can start to think about the next season’s capsule wardrobe. Some summer pieces may transfer over into the fall season and so on, but you can only have the same limited number of pieces. You can, however, make purchases for this next season. The idea is that after a full season of doing this experiment, you’ll get a good feel for your true style. And since you can only have 40 (or 37) items in your closet at any given time/season you’ll make smarter, more “you” purchases. I’m guessing the items I buy will also be more expensive and higher quality. Less = more! 5. Keep doing this for a full year. At that point you should have a fully fleshed out capsule wardrobe. After that, you enter maintenance mode, slowly and carefully adding pieces only as needed and only if you truly love the item you’re buying. Does anyone else feel as excited about this idea as me? Something about it speaks to my inner minimalist, and more than anything I’m driven by having a closet full of curated items that I deeply love. The prospect is so appealing! I’ll be sharing more photos of my Un-Fancy challenge this summer using the group hashtag #unfancy and following the blog’s writer, Caroline Joy on Instagram for inspiration. I would encourage you to take up the challenge, too, if you’re as frustrated as I am! Has anyone considered taking on a challenge like this? Is anyone on board for doing the Un-Fancy challenge with me? Let me know! I would love to follow along with you on your journey! I think this is a fabulous idea! I’ve heard of something similar called the French Wardrobe Challenge… have you heard of it?! Basically you can only buy 5 items for each season (spring/summer and fall/winter) or 10 pieces a year! Shoes, and some other basics don’t count, but basically it is the same idea, getting your wardrobe down to the basics and buying quality over quantity! I’m such a shopper, but I started thinking more about quality vs. quantity. Last month I spent $35 on a black t-shirt. I would NEVER spend that much on a tee shirt normally, but it is a basic, much needed layering piece. And gosh I’m glad I did, the most comfortable thing I own! Also, I try to shop for quailty items on HauteLook if there is something I need/looking for because then I can still get better pieces for less! just curious…but your comment about saving money got me thinking…what kind of clothing budget does everyone try and stick to? i know this is all relative based on income and other factors. i personally barely have one since i never shop, but i really need to work on getting some nice basics, etc in my closet and love this idea!! Madison – this is SO cool! I think that this is a great way of having honest conversations with yourself and really discovering your own style (which I have no idea what is). I think I’m going to try it! I love this idea and have tried to do it, but I’ve never seen it laid out this clearly. Thinking of doing it this weekend! 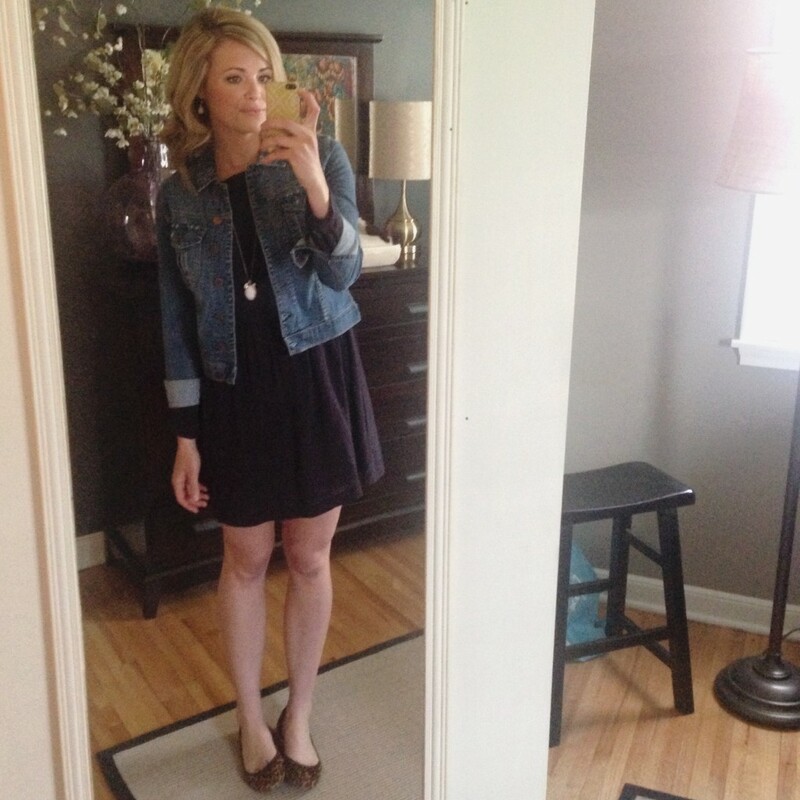 I am about two months into my first capsule wardrobe, and I love it. I am never going back! However, I have been thinking a lot about why this wardrobe is so appealing and effective. In particular, what is it about having a larger wardrobe that is so unfulfilling? Is it because we add pieces thoughtlessly, without consideration? Anyway, this is a great post! I hope you don’t mind me pointing out it’s “pare down” not pair down.